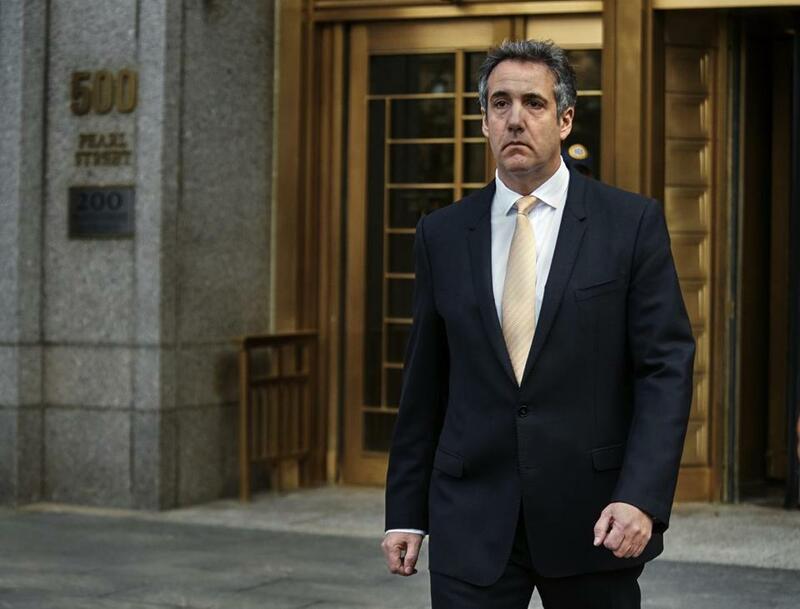 Michael Cohen paid a technology company in 2015 to attempt to rig online polls in favor of then-candidate Donald Trump, according to a Wall Street Journal report published Thursday that details the payments. Cohen, Trump’s former lawyer, was reimbursed by the Trump Organization for his payment to the company, run by Liberty University official John Gauger, to the tune of $50,000, according to the story. Gauger claims he never received the full amount owed. The story contains startling details: Gauger claims that he walked into Trump Tower in 2015 and was handed a Walmart bag containing about $12,000 to $13,000 in cash and a boxing glove. Cohen denies that the payment was made in cash and told the Wall Street Journal that “all monies paid” were by check. Federal investigators have interviewed Gauger about his dealings with Cohen, according to the report. Cohen was sentenced in December to three years in prison after pleading guilty to a number of tax and campaign finance charges. According to the Wall Street Journal, none of those charges were related to the payments to Gauger. In a tweet on Thursday morning, Cohen placed the blame for his actions on Trump. As for the @WSJ article on poll rigging, what I did was at the direction of and for the sole benefit of @realDonaldTrump @POTUS. I truly regret my blind loyalty to a man who doesn?t deserve it. A Globe request for comment from the White House was not immediately returned.